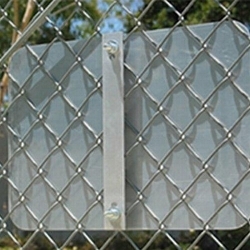 1-1/2" wide rust-proof aluminum bracket is the simpliest way to secure your sign to a chain link fence. 3 sizes available to fit your sign. Sizes/in. 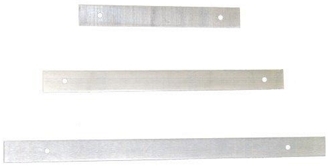 12" / 18" / 24"
3/8" mounting holes on bracket align to your size sign for a clean and easy install. Nuts & bolts sold separately.